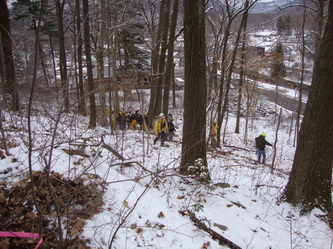 Mt Zion Fire hosted Rope Rescue 3 with Instructor Matt MacDonald. 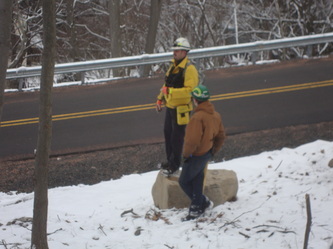 The training was held at the Mt Zion Firehouse and an area of Exeter Township known as "Heaven's Ledge" or "Morning Star." The first day of this two-day training (16 hours) involved a short review of Rope Rescue 2 as well as tying a rescuer and a Stoke's basket to be lowered down a cliff and then raised up the cliff. More practice of descending and ascending will be held Sunday. Mt Zion Fire hosted a Rope Rescue Technician training. Firefighters and EMS personnel from Mt Zion, Edwardsville, Franklin Township, Trucksville, and West Wyoming trained for 32 hours to prepare for Rope Rescue Certification. Instructors Matt MacDonald, Carl Mehne, and Mike VanLuvender helping us to learn and practice. A big Thank You goes out to the Kingston Fire Department and Chief Frank Guido for allowing us to learn at their facility. 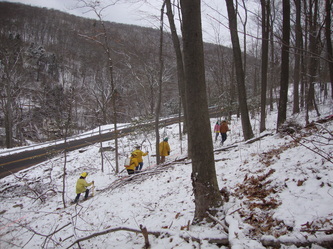 November, 2018: Mt Zion Bicentennial Fire hosted Basic Vehicle Rescue Operations with Bucks County Community College Instructors Matt MacDonald and Carl Mehne. Firefighters from Mt Zion, Dennison Township, Exeter Borough, Hanover Township, Franklin Township, Kingston Borough, Trucksville, West Pittston, and West Wyoming, learned and used everything from basic hand tools up to hydraulic tools (aka "Jaws of Life"). Special thanks to Ed Spencer Auto for allowing us to practice skills. 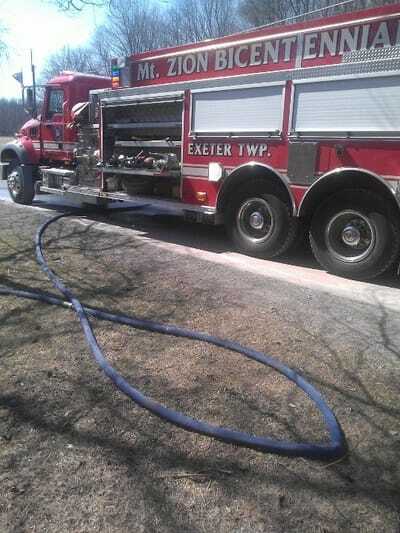 Mt Zion firefighters along with firefighters from Franklin Township, Exeter Borough, and West Wyoming train at the Mt Zion Firehouse in preparation to take their Firefighter I skills and written tests. This involves hose line advancement, knot tying, fire extinguisher use, ladder placement and utilization, standpipe operations, air pack training and safety, fire streams, search and rescue in a fire and so many other areas. More photos to come as we continue with this training. 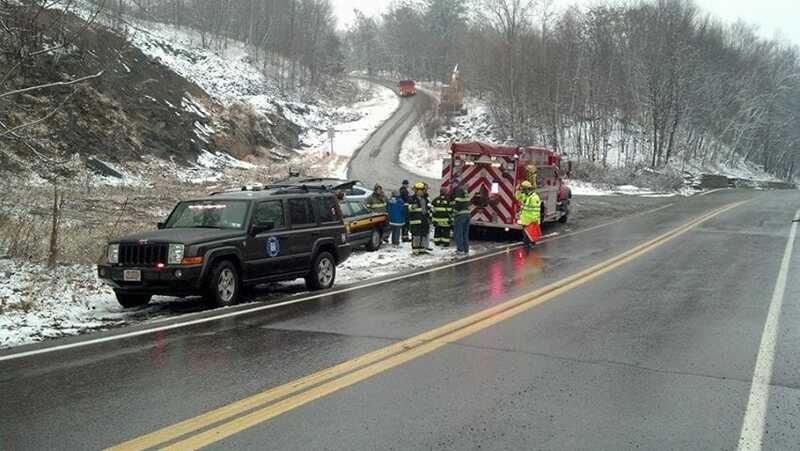 Mt Zion Fire hosted a Vehicle Rescue Awareness class. Fire personnel from Mt Zion, Exeter, Hughestown, Franklin, West Pittston, and West Wyoming, all partook in this training. The training started out with two evenings inside and finished with two days in the field for a total of 24 hours of training with Bucks County Community College instructors Matt MacDonald and Carl Mehne. Oh, and don't forget the temperatures in the 90s with very high humidity just for icing on the cake. 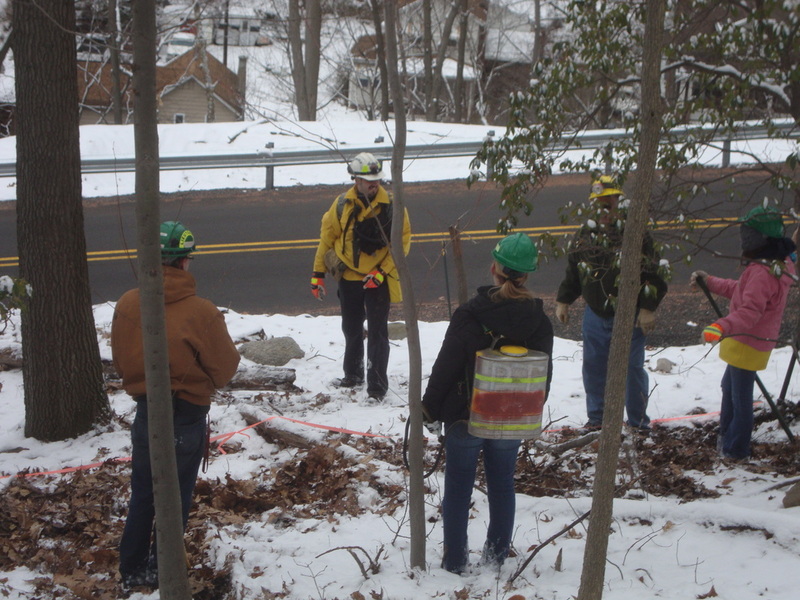 Day two of Ropes 2 training: Emergency Responders from Franklin Fire, Pittston Regional Ambulance, Mt Zion Fire, and West Wyoming Fire and EMS took part in the training with instructors Matt MacDonald and Carl Mehne. Mt Zion Fire and Franklin Township Fire hosted a Ropes 2 training which was held at Mt Zion Firehouse and Camp Orchard Hill. 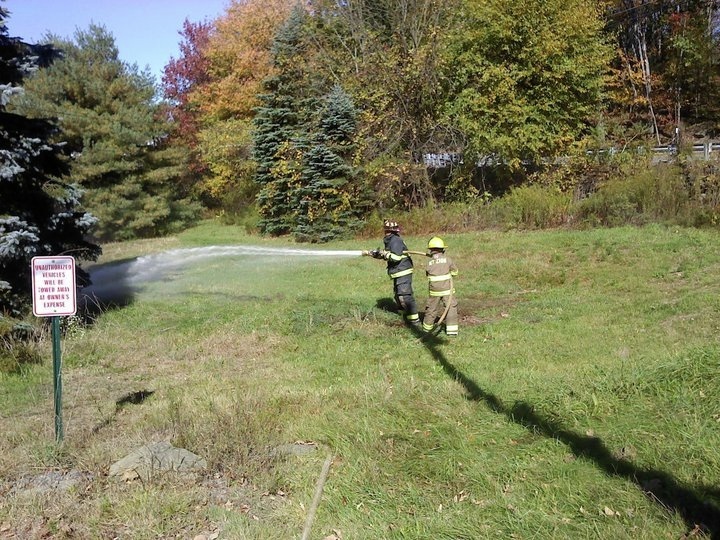 Emergency Responders from Franklin Fire, Pittston Regional Ambulance, Mt Zion Fire, and West Wyoming Fire and EMS took part in the training with instructors Matt MacDonald and Carl Mehne. We would like to thank the Camp for allowing us to use their climbing/repelling tower for the training. ​For four nights and one weekend, a total of 36 hours of training, firefighters from Mt Zion, Avoca, Exeter Borough, Franklin, Nanticoke, and West Wyoming learned about Hazardous Materials Operations. This includes recognizing hazardous materials, notifying proper agencies, and performing defensive operations to save lives and minimize the impact to property and the environment. 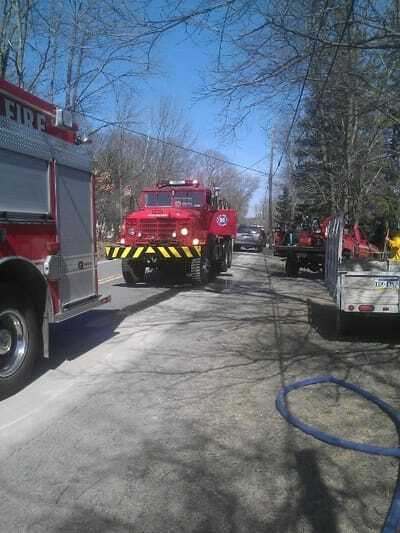 4/30/13: Members trained with the completed project trucks 1983 Mack and 1995 International rescue pumper that our members have been working on. We were all very impressed with the capabilities that all trucks showed. Mt Zion Fire members train with DCNR Forestry for wildland firefighting. 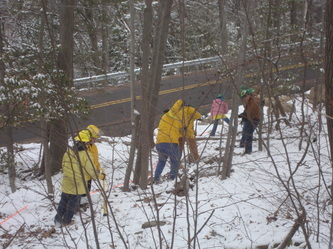 Training occurs even in the snow. 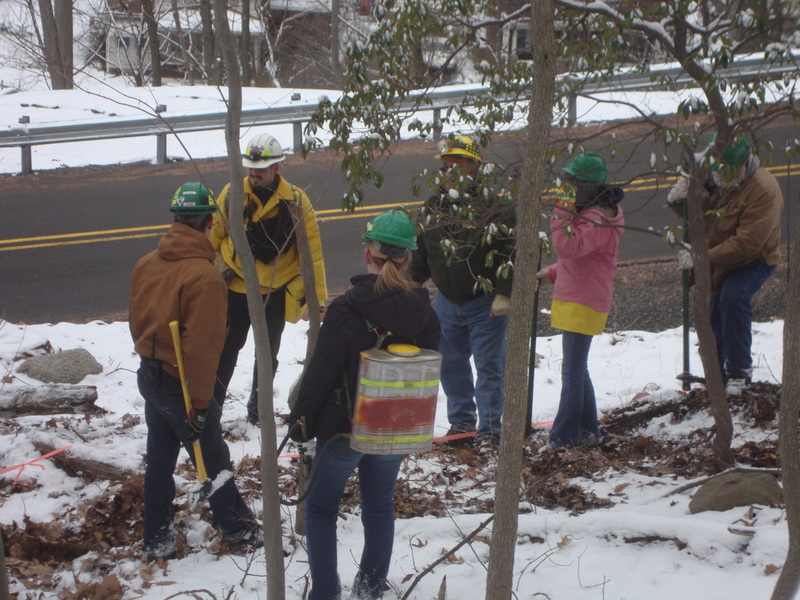 The Wildland Crew responds to wildland fires in our own town, our surrounding towns, and to assist DCNR Forestry. 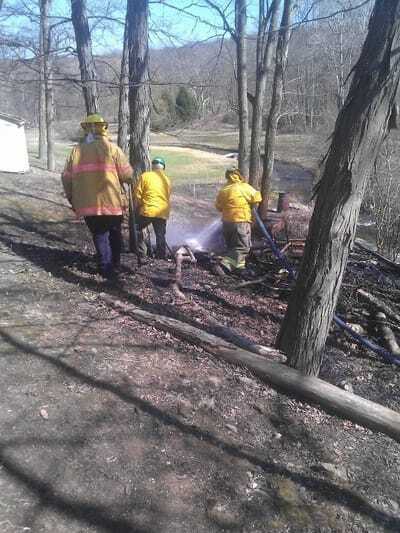 4/10/14 - Station 229 assembled the wildland crew to respond into Franklin Township (Wyoming County) for the reported Brush fire. Once arriving we were advised to stretch a line and knock down the remaining fire and the hotspots. After mop up, all 229 units were released by 135 command. 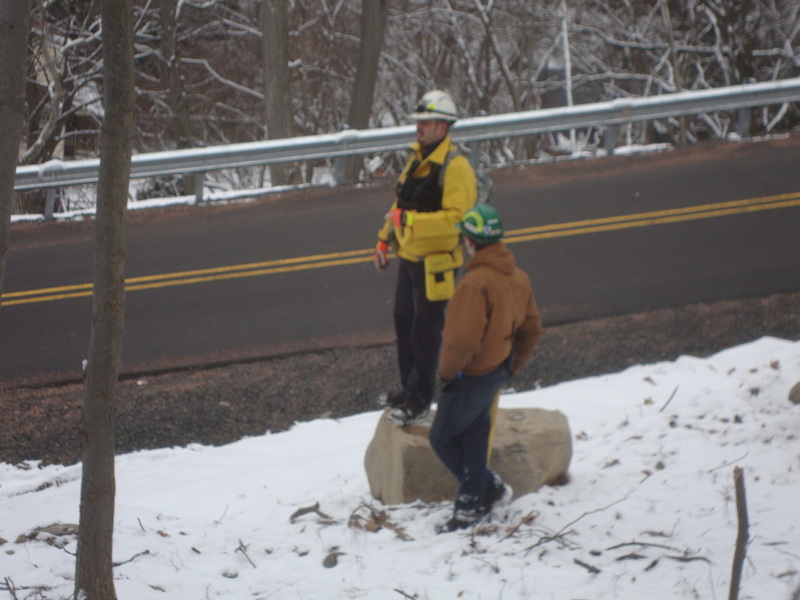 12/5/10 We conducted an in-house structure fire training. Throughout the training we practiced forced entry, truck company operations, and engine company operations. Great job by everyone!